Overview of science and engineering—where we are now with conclusions as to where we need to go. Current labor force relative to S & E professions. This is a fairly broad look, but an important indicator as to where we are falling behind. Public Attitude towards S & E professions. State indicators. What states within our Unites States provide the majority of trained S & E professionals and offer the greatest number of jobs. We definitely live in an interconnected world with intertwining economies. Those countries continuing to prosper economically offer open markets and willingness to participate in the transfer of technology. No doubt about it. Open markets exist in just about every country on our globe. One exception is North Korea and even that potential trading partner is beginning to recognize the benefits of world-wide trade. Most countries recognize the significant importance of education and dedicated R & D effort relative to global commerce. It is imperative that a knowledge-based workforce exist to promote technology on a wide scale. With Asia’s rapid ascent, China is a major player on a global scale. A rising superstar on the world stage that must not be taken lightly. China has made a commitment toward being a world force, thereby promoting science and engineering education. The European Union is “holding it’s own” but much of the trade is between members of the “union”. Brazil and South Africa show very high rates of growth relative to science, engineering and technology and recognize the great importance of an educated population. Israel, Switzerland and Canada are examples of countries with mature growth relative to science and engineering- technology in general. Continued progress is dependent upon a well-trained work force, and they recognize that fact. Global R & D expenditures have grown faster than global GDP with significant efforts to make economies more knowledge and technology based. 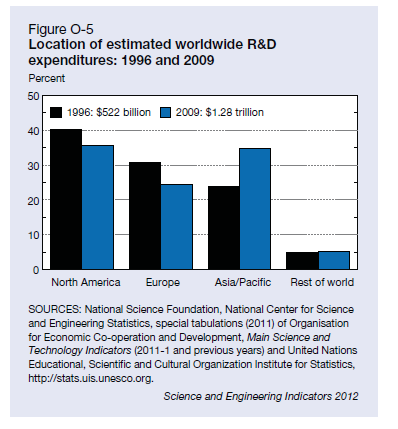 An example of this—global R&D efforts in 1996 were $522 billion USD whereas in 2009, that number was $1.3 trillion USD. This fact is demonstrated by the following graph. There is a 69.23 percent increase in R & D expenditures in just thirteen (13) years. A 5.325percent in R & D spending per year for thirteen years. 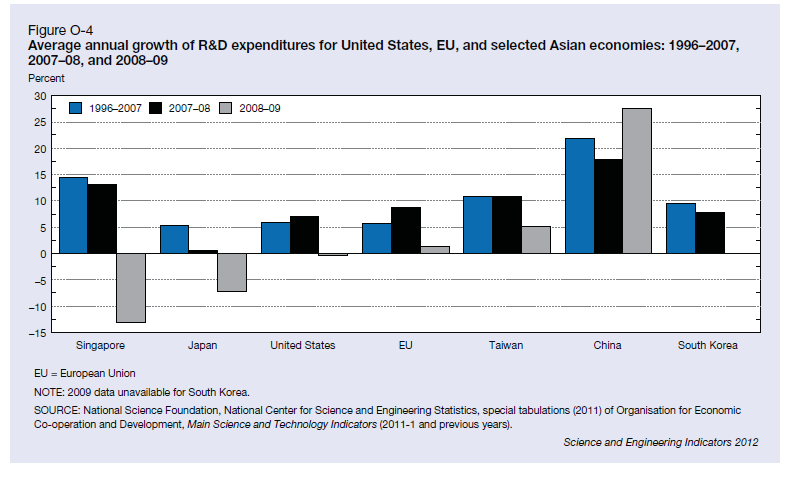 The United States is the largest contributor to the R & D effort with $400 billion (2009) USD but with Asian countries, mostly China, a very close second. 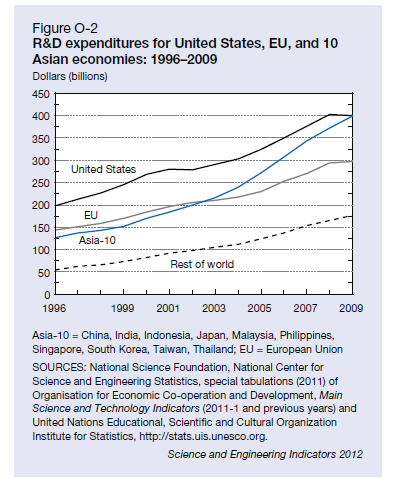 Please note, the EU figure represents all expenditures for R & D by the seventeen (17) countries within the “Union”. This is a conglomerate number. 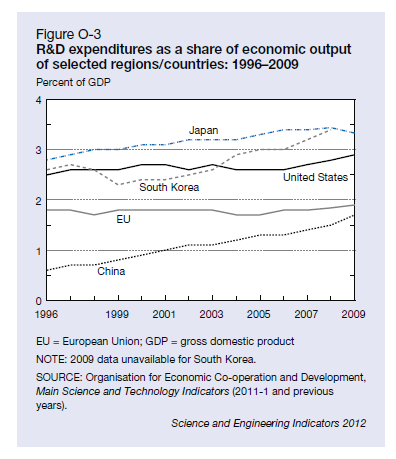 For many countries, there is an R & D target of 3% of GDP. They recognize the great importance of technology and engineering relative to continued economic improvement. It is also a recognized fact that industry is the mechanism that fuels this technology growth. In the USA, industry funds 62% of the R & D effort. 70% for Germany, 45% for the United Kingdom and 60% for China, Singapore and Taiwan respectively. The chart that follows gives the percentages of GDP for each region. 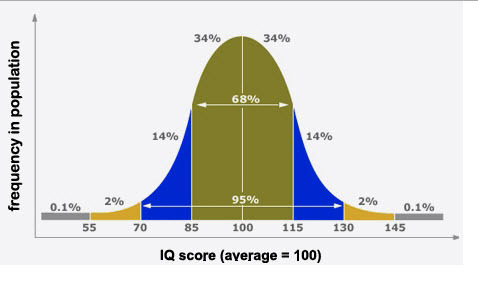 That percentage being on the ordinate (vertical) axis of the chart. The percentage in the USA is roughly flat over the last thirteen years. China has grown consistenly. If we look at the annual growth rates for selected countries, we see the following: China has made significant efforts to invest in R & D whereas the EU, USA and Japan have reduced R & D funding. 2008 and 2009 exhibit percentages that, in my opinion, are truly alarming. There is no doubt that China and the Asia/Pacific countries are giving the US a real “run for the money”. The chart below will demonstrate that fact quite well. North America; i.e. USA, Canada and Mexico, etc. traditionally spend more than the rest of the world but Asia/Pacific is catching up. Figure 0-6 is a fascinating look at how R & D expenditures “travel” across our globe. 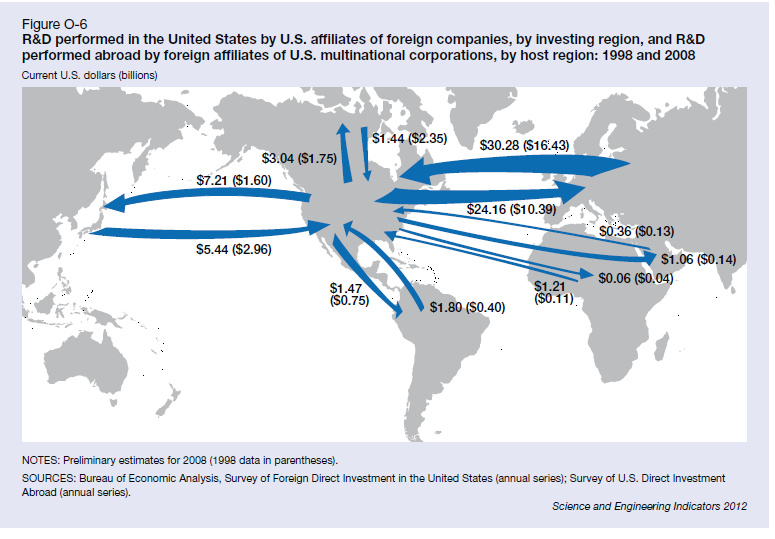 This graphic represents the global transfer of technology and further demonstrates how intertwined global commerce is. The relative importance of global technology is driven home by the following chart, showing graduation rates by region. This chart represents the importance associated by each country as to what is expected of education. It also is a very definite indicator as to where the jobs will continue to be in the twenty-first century. Next, we will look at the current labor force and those professions participating in that labor force. You may be surprised as to where scientists and engineers work.